Before the news of Ratatouille winning Oscar could sink in, there are some great news about Pixar's next flick. What if mankind decided to leave the Earth and forgot to turn off the last robot ?!.... 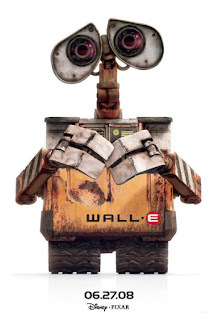 thats the tag line for Wall-E, Pixar's 2008 release directed by A Bug's life and Finding Nemo director Andrew Stanton. Don't miss out the wonderful vacuum vignette animation in HD. It was animated by Victor Navone. I am keeping a tag on his blog hoping to get more info on Wall-E.